and hotels. 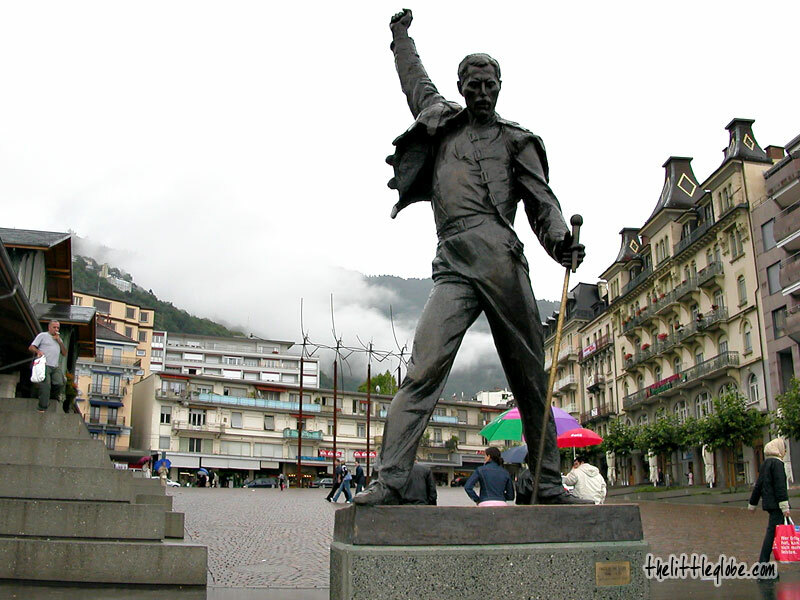 The pleasant and picturesque surroundings of Montreux have made it the most popular resort on Lake Geneva. Leaving the train station, we got couple of “des chocolats chauds et croissants” from a convenience shop across the road. Then, we boarded the boat to Château de Chillon (Chillon Castle) which was just a short scenic boat ride away. 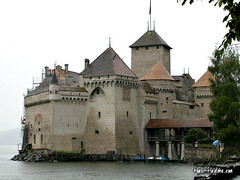 The Château de Chillon is built on an islet occupying a site framed by the lake and the Alps and with its origins date back to the 9th century. Its heydays were during the 13th and 14th centuries. It is also the most visited historical building in Switzerland. We managed to spend some time inside the castle because it was still raining. After the rain had stopped we took the ferry back to Montreux proper. 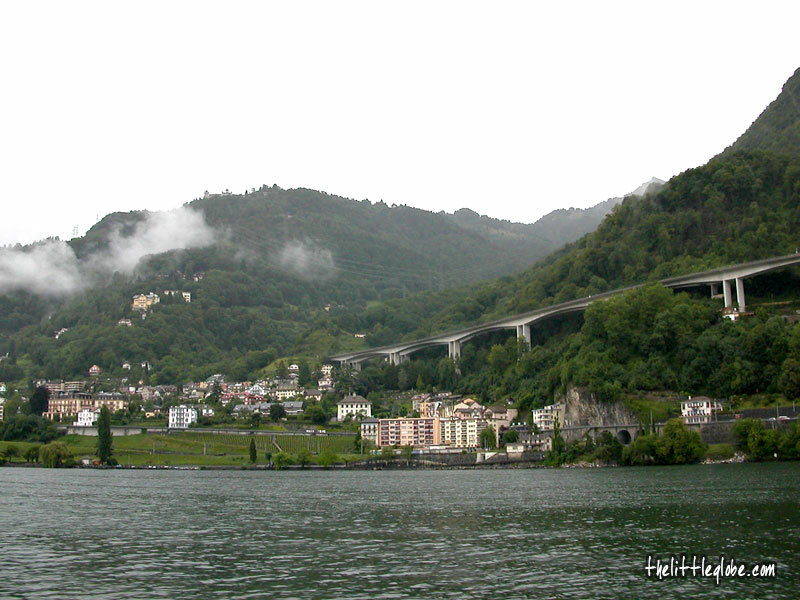 We had the chance to stroll around the market square and leisurely walked along the shores to admire the beautiful lake view before we left the town.